Find a perfect campsite for your kids by avoiding these five things! Be aware of the campsite terrain, and how that could affect your kids! 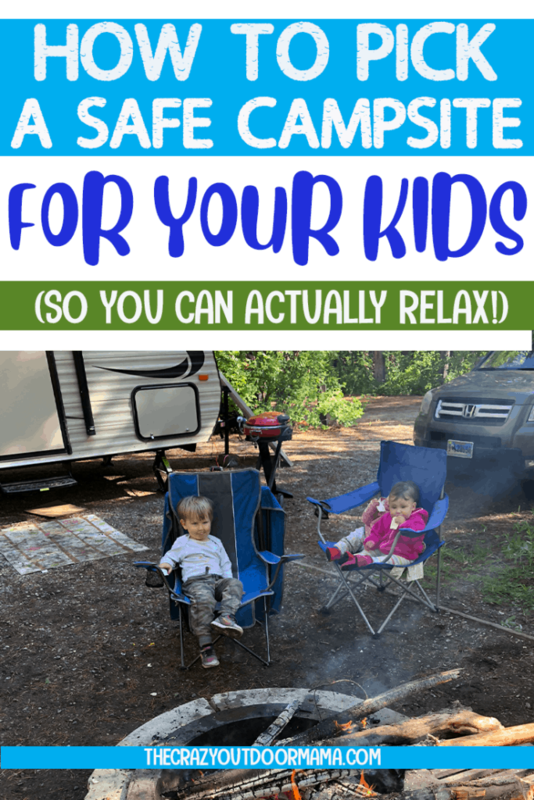 While finding a kid friendly campground is nice, don’t let it intimidate you to the point of not going! P.S. 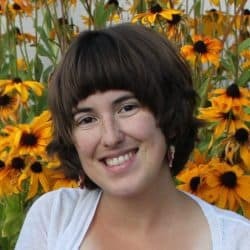 If you are worried about how things like sleep and bottles might work around camp, head over to these guides! 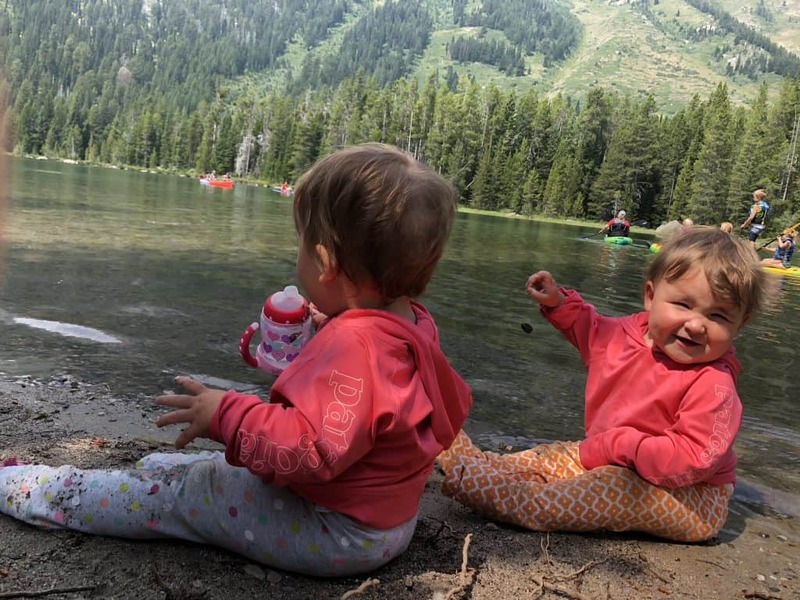 Camping with a baby or toddlers who are into EVERYTHING can be very intimidating – keeping them safe, warm, clean, and so many other concerns arise! What if your baby just keeps trying to eat rocks the whole time? Are there snakes in the area? What if they eat something poisonous! Well don’t worry – almost all of these problems can be solved by just picking the right campsite! 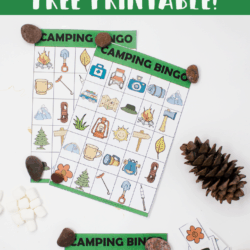 Don’t forget to check out my how to camping with toddlers stress free and actually have fun if you’re camping with little kiddos! 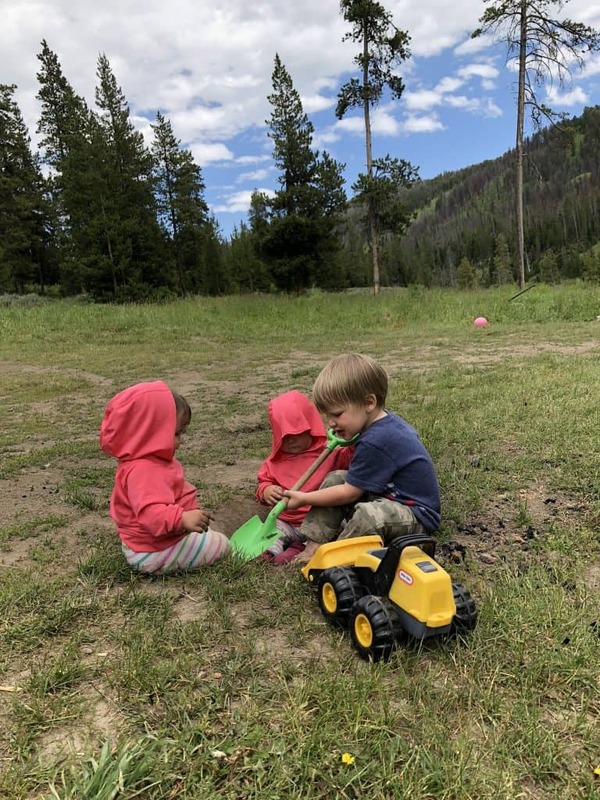 I have camped with my toddler and twin babies tons, and have gotten it down to a science on how to pick the perfect campsite! 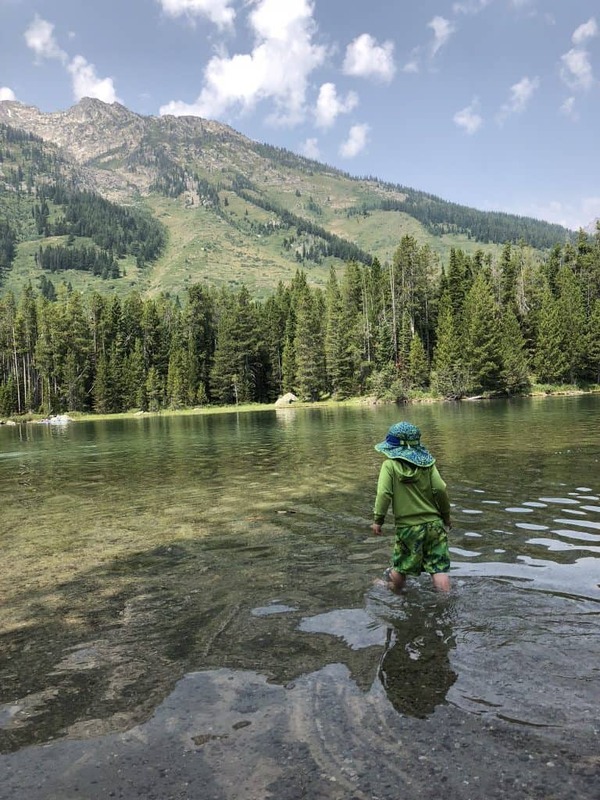 If you have yet to camp, you might want to read this guide on how to raise backpack loving babies and outdoor loving kids. Also, pick up a couple camping themed books ahead of time to get the kids excited for the next camping trip! If you are camping somewhere new with the kids, be sure to be aware of any poisonous plants in the area. While most campsites are cleared of potential hazards, there are some that may be missed! For example, in Wyoming, we have Twin Berries. They look tasty, are a similar size to huckleberries, and are easy to pick! However, eating them can cause intestinal distress and are considered mildly poisonous to humans! Knowing this, I try to avoid campsites that have these nearby. My toddler may pick them (he’s just learned this year about huckleberries, so now he wants to pick everything) and my babies might eat them because well, let’s be honest, they eat everything! 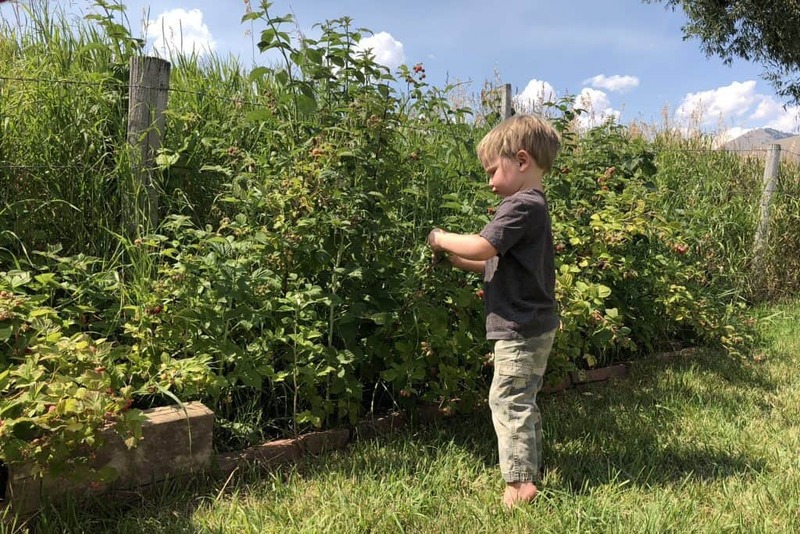 While picking berries can be fun, it’s SUPER important to review with your kids (especially toddlers) that, when camping, they must ask before eating anything! This is our guy getting some raspberries from our garden at home! While it’s true, kids will learn not to touch stuff that pokes them, it doesn’t hurt to help them out a little! This isn’t a concern as kids get older and can understand consequences more. However, when it comes to finding a good campsite for babies or young toddlers… it’s good to scope it out! 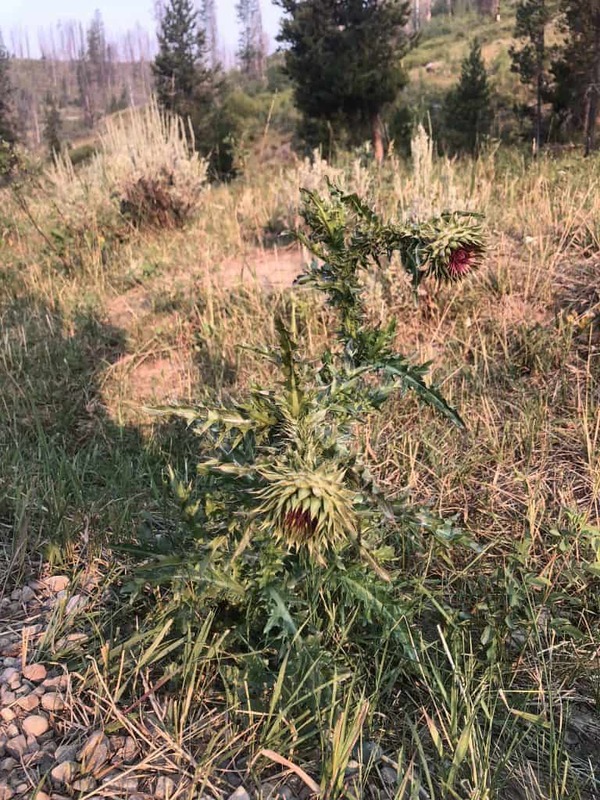 Some plants I look out for here in Wyoming are thistles.. we have a couple kinds, and they all hurt! Look near the edges of the campsite where the babies might crawl around to. If it’s one or two plants, you’re probably fine, but if they are everywhere you might spend the whole camp trip just picking them up moving them away from the plants! This thistle hurts! Even worse, they get really cool looking purple flowers that is hard to resist for little kids! If at all possible, I’d always suggest to camp near water! The only exception is bug season, but even then, a little repellant and a breeze or good over shirt can keep the bugs at bay. I prefer streams since they are often shallow, not very wide and slow moving. It means I don’t have to be AS vigilant and paranoid as I would be around a fast river! Lakes are also fun if they are only a short walk away! I like to fish, and it’s easy enough to have the kids play on the beach while I do that! It is important to find a campground for your kids with water that is a comfortable distance away! What I mean is, if you are right on the river, and you are camping with small kids, it’s going to be pretty hard to keep an eye on them at all times! If you’re looking for other boredom busters for toddlers and babies around camp, check out my go to list of 11 ways to keep kids busy and happy around camp! If you plan to camp with your kids for more than a day or two, try to find a campsite near some water! A common landscape feature in campsites near rivers are drop offs, which as a parent, is terrifying! Before kids, I would have loved the view from above the water. I am freaked out that my toddler will be running and playing, not paying attention, and go right over! 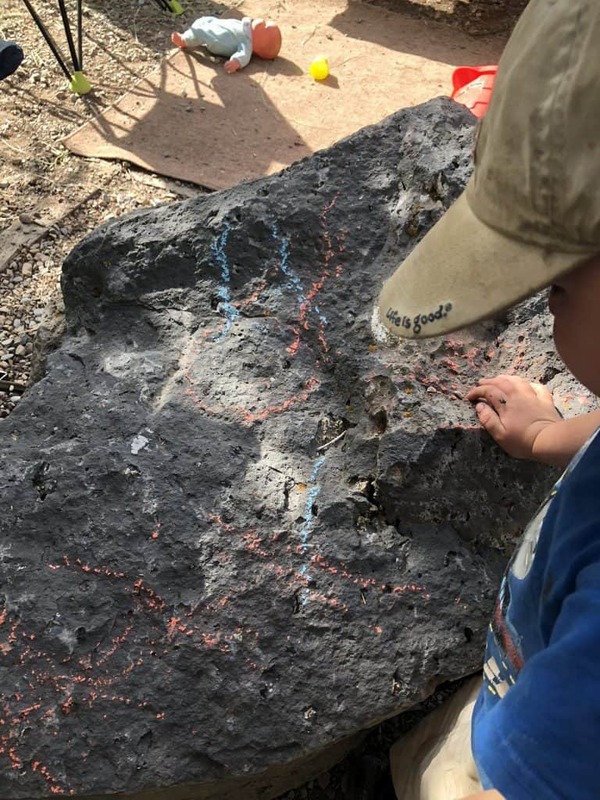 Other things to look out for include sharp rocks that kids could fall on, stagnant water areas (that babies and toddlers will be determined to find a way to drink or play in!) or very rooty areas that make it easy for little legs to trip over! One of the best things about camping with kids has to be that there are a whole lot less NOs! However, if you find yourself cramped in next to another campsite, it becomes way more difficult for everyone to be relaxed! It’s a big no no to go into someone else’s campsite – imagine random kids playing in your yard! Even other parents who have kids may not appreciate your kids running around their campsite! 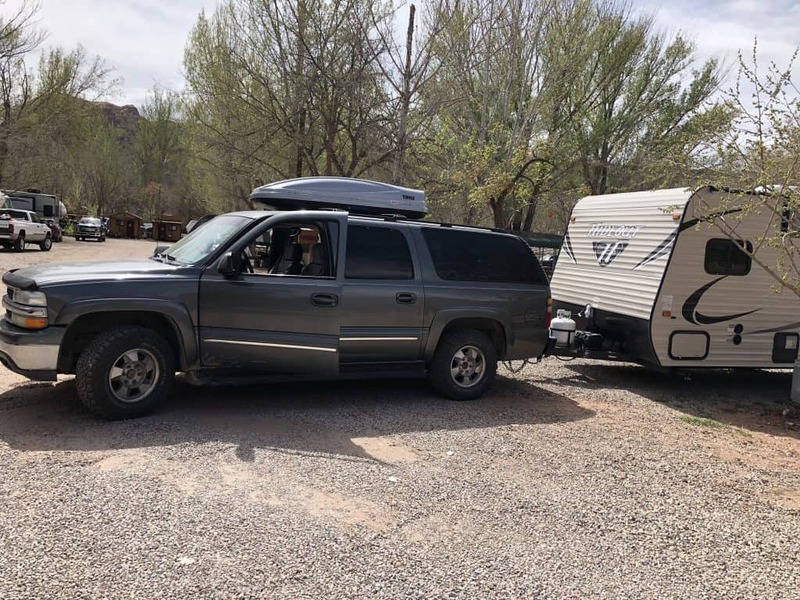 While most campgrounds are good about leaving ‘privacy’ trees in between each campsite (this prevents kids from crossing over), if you find yourself in an RV park the situation is totally different! Again, with older kids, this is not as much of a concern since they tend to listen better. For toddlers, it may get a little tiring to repeatedly tell them not to throw the ball in 2 or 3 directions because it’s someone else’s ‘yard’. We ran into this problem while camping in Moab near Arches National Park! While everyone was friendly enough, our neighbors’ hookups were literally 2 feet away from our picnic table, so it was hard to keep our son contained! If you have a camper, and want to test the waters before going out in the wilderness, this might be perfect for you! You can choose from a full range of hook-up options, from nothing at all to sewage and electtric as well as showers on site! There’s also usually a small store and entertainment for the kids such as a playground. This might also be good if you plan on camping for a long time! We do tend to choose campgrounds with hookups for longer visits just due to the fact it gets annoying trying to conserve water so much, as well as having to think about dumping tanks. Pulling out of the RV Park in Moab compared to a place we would normally camp. You can see how much more “kid friendly” the one with more space and green is! We live in a beautiful spot, unfortunately it is right off the highway… so all day playing outside is just watching the road for cars, and making sure the kids don’t get too close! I always try to avoid that situation while camping – after all, isn’t it supposed to be a vacation of sorts? 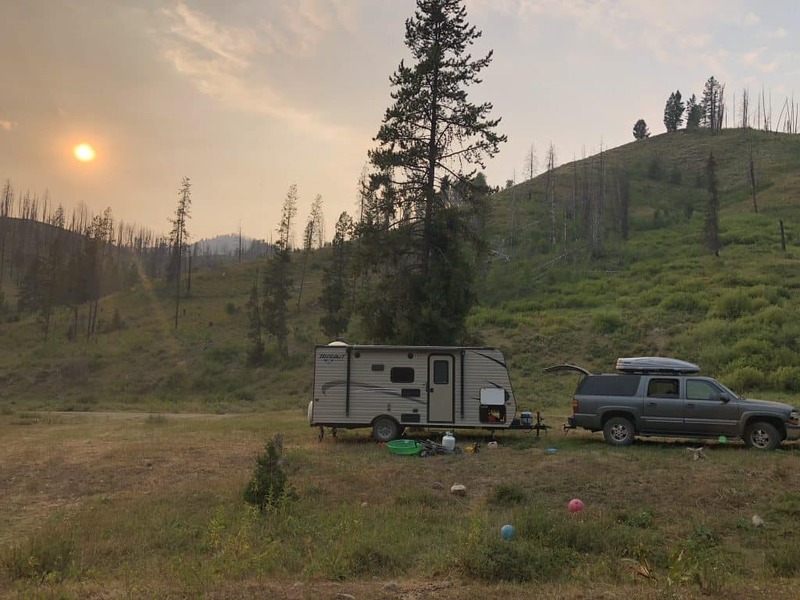 Most established campgrounds have a road going through them, however it is still possible to find a spot that is a little aways from the road. Just shoot for the campsites that are all the way at the back! If this isn’t an option, try to find a campsite that has a layout that allows you to use your car or camper as a sort of “barrier” between your spot and the road. Kids can definitely still go under or around, but I’ve found that if the road is out of sight, it’s out of mind! Yes, camping with young kids will be way easier if there are less hazards around. Excluding serious safety hazards like the berries and weird terrain, kids will learn what to avoid themselves! My son has definitely ran his hands all the way up a pokey plant, and he survived. I didn’t even have time to tell him no – but it doesn’t matter, because he has never done it since! Just remember that kids will learn, and camping will get easier as time goes on and you find your flow! The 7 Best Tips for sleeping in an RV with a baby – baby tent recommendations, and a DIY! Prepare bottles fast and perfectly warm with these 5 tips while camping! The baby camping and hiking gear we use to have a WAY less stressful trip! What to pack (without packing the whole house) when getting ready for a camp trip with your baby or toddler! 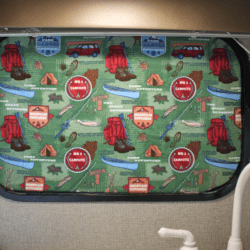 How to get your toddler to actually sleep in your travel trailer! This was one of the best campsites we had! It had plenty of room for our kids to roam and we could actually listen to the music we wanted without fear of being rude!